On April 21, 1913 President Woodrow Wilson created the Chilkat Native reserve at Klukwan. This was one of 150 reserves created by "Executive Order" before 1919. Executive Order (EO) is one of five methods the United States employed to recognize extra-constitutional indigenous spaces commonly called reservations. These EO reserves are referred to as "Reservations at Will." Besides these EO reservations there are four other forms of reservations, such as Treaty Reservations, Statutory Reservations, Public Purpose Reservations, and reservations derived from the Indian Reorganization Act of 1934 (IRA). When the IRA was first brought into law and gave the ability of American Indians to structure into recognized governments under US law, it gave no provisions to include Alaska Natives. However by 1936, with the help of Tlingit William Lewis Paul, the US extended the rights of the IRA to indigenous communities of the then Alaska Territory. After that time, the Tlingit community at Chilkat enrolled in the IRA and basically transferred the reservation into trust under the guidelines of the new law. While many American Indian communities in the contiguous part of the nation have reservations from treaty negotiations this national practice of making treaties with Native was legislated out of existence in 1888, just before such negotiations could be made in Alaska. The backstory to the nation ending the treaty process with Native communities came about because the House of Representatives (without such power) saw this ability by the President and the Senate to create treaties as an unfair advantage. Thus, when the House added a rider to end the making of treaties with Natives to a bill, the rest is history. 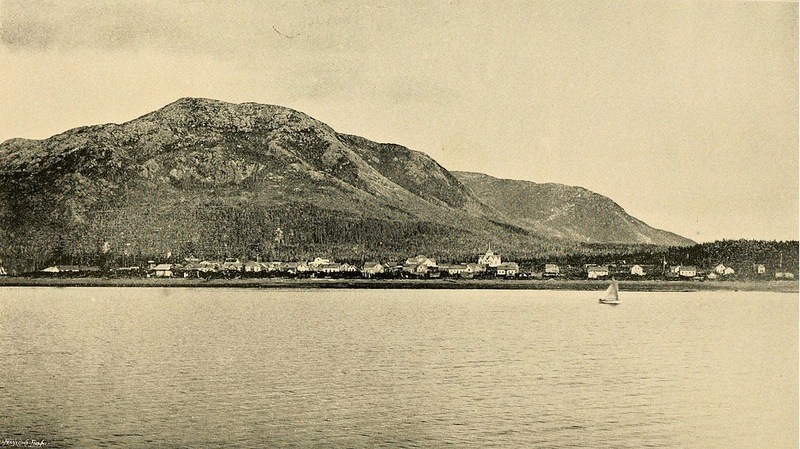 A general view of Metlakatla taken at 9:30 p.m. , 1896. 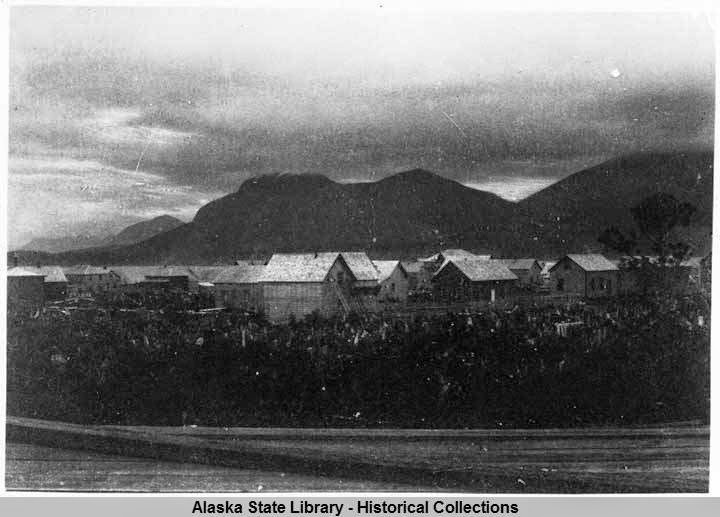 The history of reservations in Alaska began with the Congressional manufacturing the Metlakatla statutory reserve in 1891. The reservation came under scrutiny in 1916 when the Alaska Pacific Fisheries corporation started placing a fish trap just off shore of the island. However, as the trap neared completion President Wilson declared the waters near the island as additional reservation property. The Department of Justice filed suit against the cannery, leading to a Supreme Court case where the court affirmed the reservation in 1916. At Eklutna Vocational School, ca. 1940. 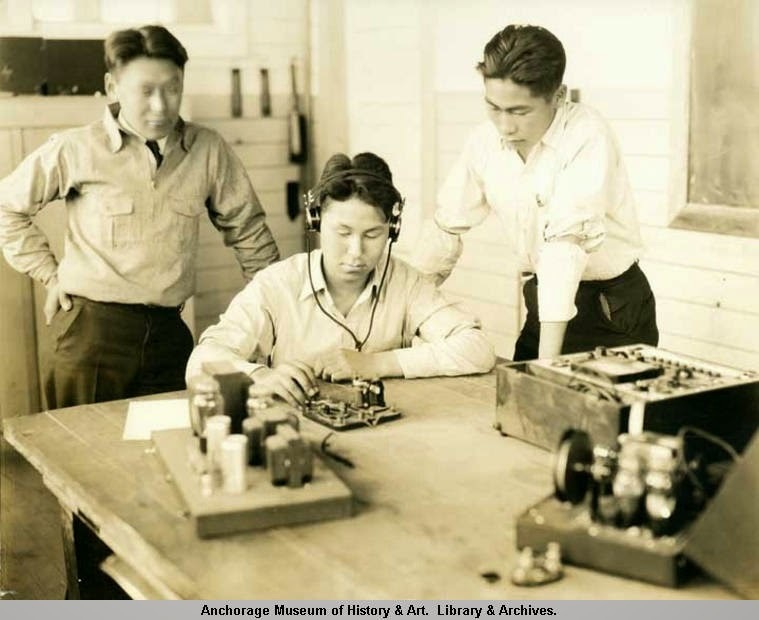 "Students at Eklutna Vocational School, Eklutna, Alaska, with telegraph apparatus. ca. 1940." AMRC-b00-10-11. The United States also made a second type of "Reservation at Will," this kind known as Public Purpose Reservations that only served very discrete functions. Unlike a statutory or Executive Order Reservations, Public Purpose reserves in Alaska mostly acted as spaces for the vocational training of Native workers. For example, the government made reserves for the sole of purpose of teaching indigenous people how to herd reindeer. Above is a picture taken at the Eklutna, a public purpose reservation that had a technical employment training school. 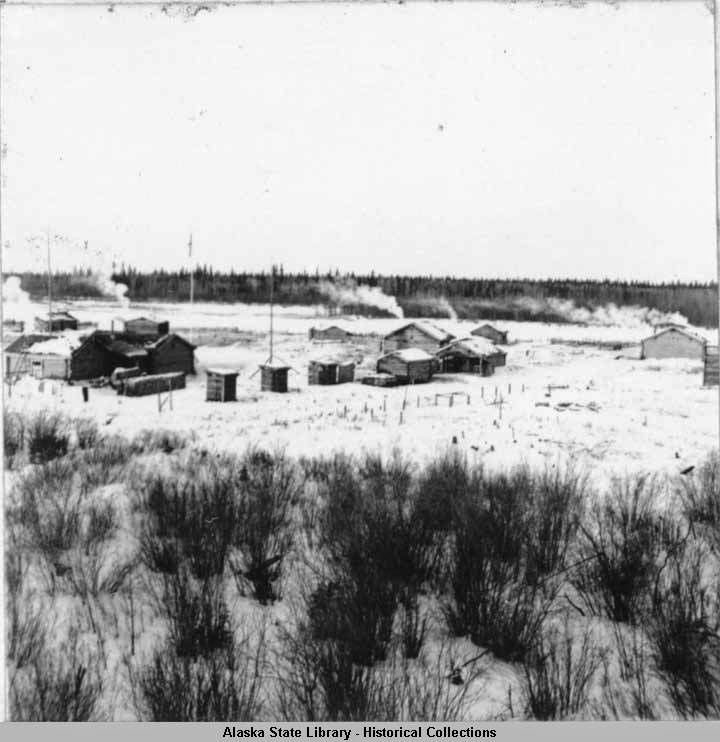 "School, quarters, and part of homes, Venetie, Alaska, 3/1939." Since the late nineteenth century the US has created four types of reservations in Alaska, each distinct from the other. The addenda to the 1934 Indian Reorganization Act did allow the Department of the Interior to take land to be held in trust for Native governments. Yet the passage of the Alaska Native Claims Settlement Act in 1971 ended all reservational communities, even if such communities chose to forego ANCSA enrollment, as did the community of Venetie. ANCSA allotted the land to the village fee simple. While all the reservations may have disappeared, the first Metlakatla still exists to this day.